The Lice Place is an all in one lice removal franchise. In addition to effective clinical treatment, we also offer a complete range of Birmingham, AL Lice Removal Products. Whether you need a lice removal shampoo, terminator comb, mousse, spray or conditioner, we have got you covered. The Lice Place offers these products at affordable prices. You can order them online and can easily use them at home or when you are out of the town. The Lice Place is a recognized leader in the lice removal industry. Our treatment method has the highest publicized success rate in the country. For more than 20 years, The Lice Place has been providing its clients with quality, safe and professional lice removal services and products. Our clients trust us for our non-toxic, pesticide free treatment methods and products. 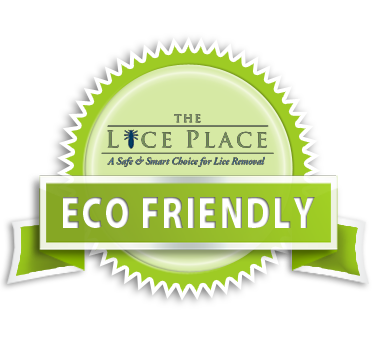 Your complete satisfaction and safety is our goal at The Lice Place. We have infection control policy in place and we follow the highest professional standards. All Lice Place clinics follow specific guidelines that protect our clients from any potential harm. TLP shampoo is formulated with Neem oil and high quality natural ingredients. It will offer your hair a natural safeguard from future infestation. Use our shampoo with our TLP conditioner that will make your hair shiny, smooth and healthy. Our terminator comb can be used with TLP mousse. These products help remove both lice and nits in the safest way. All Lice Place products are safe to be used by children and people with sensitive scalp. In fact using them at a regular basis is the best practice to stay lice free for years to come. The Lice Place also offers professional head checks and counseling in preventive measures. Use our assistance for your family’s head lice problems. You will be pleased to receive our effective, prompt and safe treatment and products. Call us today to learn more about our Birmingham, AL Lice Removal Products or to get your service appointment scheduled. Our experts are always available for your assistance.